View More In Weed Killers. 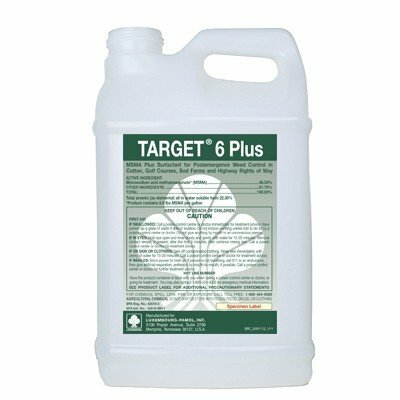 MSMA Target 6 Plus Herbicide is for post-emergent control of crabgrass, dallisgrass, johnsongrass, nutsedge, pigweed, and chickweed. MSMA is one of the best selective post emergent herbicides but is also dangerous if improperly used. Please read all label instructions before use. MSMA can be used on Cotton, Golf courses, Sod Farms, and highway rights of way for weed control. MSMA should be mixed at a rate of 2oz per gallon of water for general applications. Please refer to the label or give us a call for specific mix rates for particular weeds. If you have any questions about this product by LUXEMBOURG- PAMOL, contact us by completing and submitting the form below. If you are looking for a specif part number, please include it with your message.